"The visual style is wonderful, the climbing is fluid and great, and the level design is also rad. Very impressed with how much you nailed the feel." Minimal Raider is my homage to the Tomb Raider franchise for the #tombraiderjam, and also my first fully 3D game. It's roughly of the scope of a challenge tomb from one of the modern games, and it focuses on exploration like the old games did. But watch out for the deadly traps and challenges that can be found throughout... only a skilled adventurer will be able to make it out alive with the treasure. "Really confident and effective storytelling." 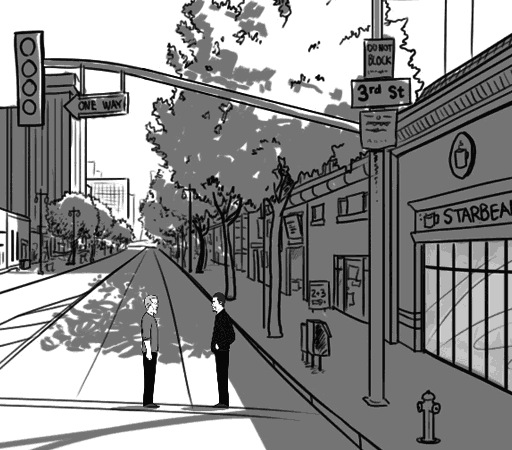 "I felt a palpable sense of growing unease throughout." 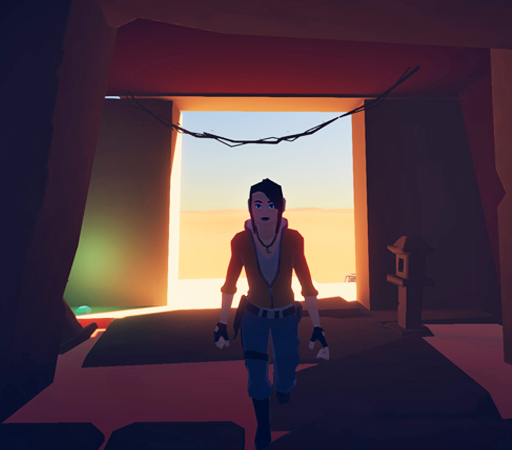 THOHH is a first-person exploration game made in two weeks for the Idle Thumbs gamejam. You play as pizza delivery guy Luigi, and through a series of vignettes you experience the story of the house on Holland Hill and its residents, where Luigi made frequent deliveries. 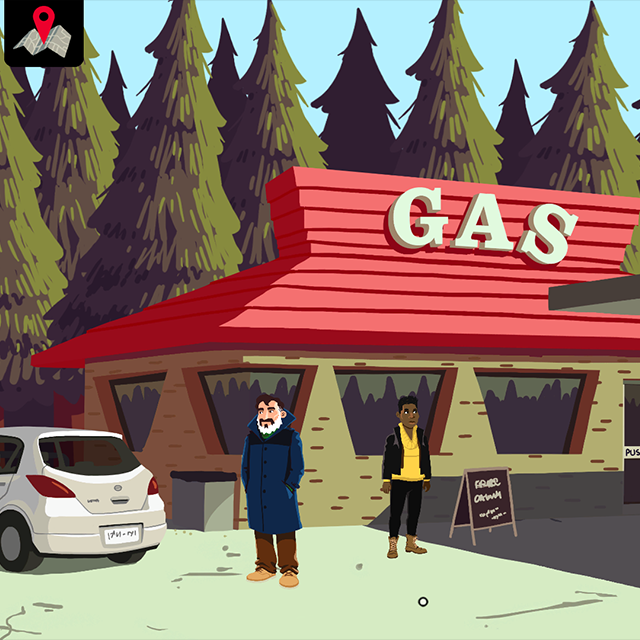 Black Feather Forest is a 2D adventure game inspired by true events and Haida mythology, aswell as things like True Detective, Fargo, Bright Falls, Kentucky Route Zero, Puzzle Agent and Detective Grimoire. You play as Sofia, a documentary maker, and together with your cameraman Caleb you travel to the town of Augier’s Peak, up in the wilderness of rural Canada, where three people have gone missing recently. 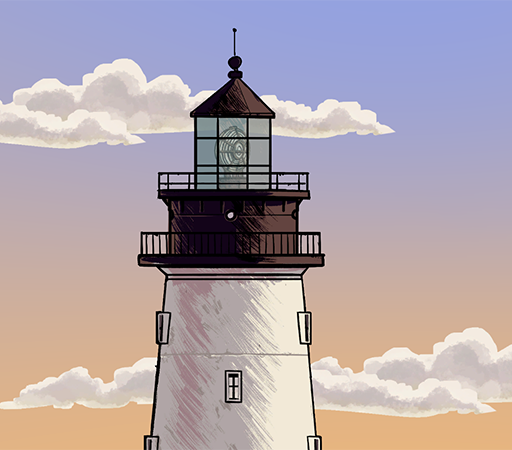 A 2D sidescrolling exploration game about an Irish lighthouse keeper who comes across the MV Lyubov Orlova, a russian ghost ship that has been adrift for several years. In 2014 its radio blipped off the coast of Ireland, and later disappeared again. This game is an exploration of what could have happened if someone encountered the ship during that time. I made the prototype for this game thanks to dutch radio show Opium. 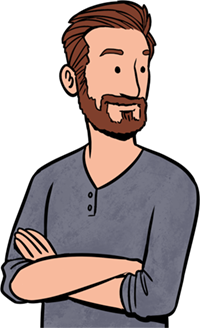 They invite one artist every week to work on a passion project in their office, so I decided to pull this story out of my idea box and build the base game from scratch in one week. In Reconquista you play as an Incan rebel coming to reclaim a sacred artifact from the conquistador-occupied island of Huaca, off the coast of South America. 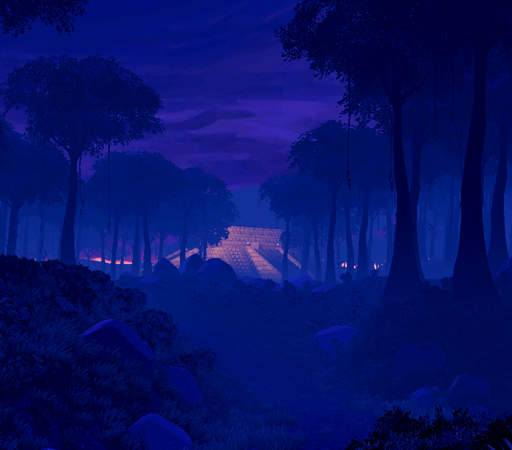 Reconquista is a narrative first-person exploration game. It is the first 3D game I've made, and I have relied heavily on the Unity Asset Store to augment my lacklustre 3D modelling skills. Free Birds is a location-based game/chatbot which I helped design together with Hubbub and Anticlimax for the Dutch Museums Association. 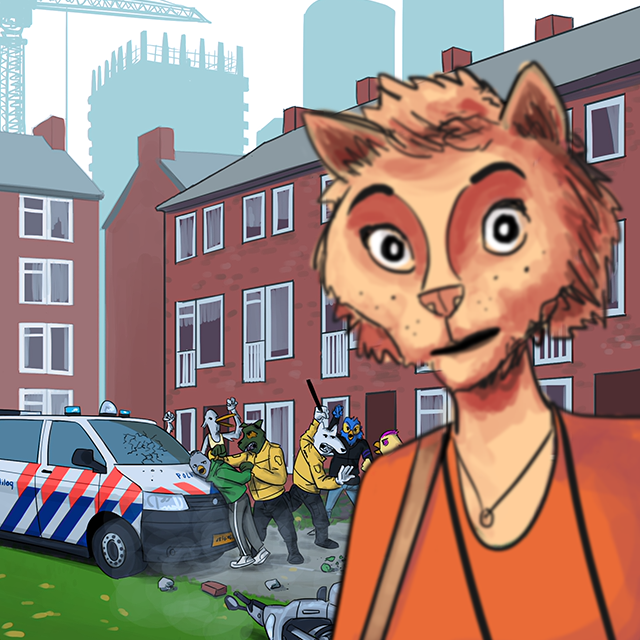 The game puts players in touch with Katia, a journalist writing articles about increasing sociopolitical tensions in her country. 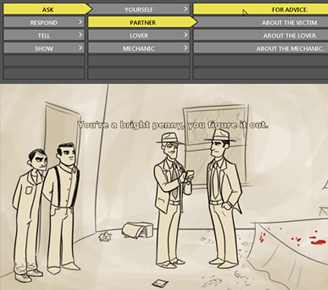 Through a chat interface she asks the player for advice in moral dilemmas, for which she refers to similar situations featured in the museum the player is visiting. This location-awareness is done via iBeacons. I helped Hubbub create the visual style for the game and hooked up parts of the UI in Unity. It was a very interesting project and a great collaboration, giving me a chance to work on storytelling in a different way and create something engaging for a young audience. The game is currently playable at the Airborne Museum in Oosterbeek, the Netherlands. Check back later for more supported locations. Bounden is a mobile dancing game, a mix of Twister and ballet. It was created by my buddies at Game Oven in association with the Dutch National Ballet, and I was brought in to design the visual style. To perform a 'dance', two people hold onto the phone and follow markers arranged around a spherical world. By rotating the phone you change your viewpoint - like a sattelite looking down at earth - so you can follow the path of the markers. And from these movements, a choreography emerges. It's hard to describe, but seeing it in action is really fun. Designing the worlds was a nice challenge in abstract art, telling a story with shapes and colors. You can watch the development diary videos on the website to hear more about what that involved. 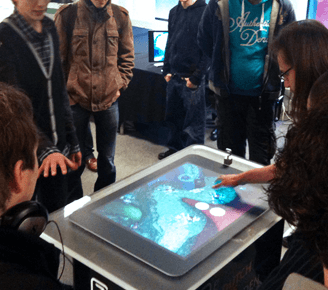 Fingle is a cooperative two-player iPad game about the thrills of encountering the touch of eachother's fingers on a multitouch device. See if the two of you have firm enough fingertips and fine enough motor skills to solve the many braintwisters and fingerbenders Fingle throws at you. For Fingle I took care of all the visual aspects, designing backgrounds, game elements and interfaces all in a groovy 70's kind of style. Popular webcomic Looking for Group - itself inspired by countless fantasy RPGs like World of Warcraft - wanted to turn their property into a game, and the pitch I wrote made them choose my former employer Paladin Studios for the job. 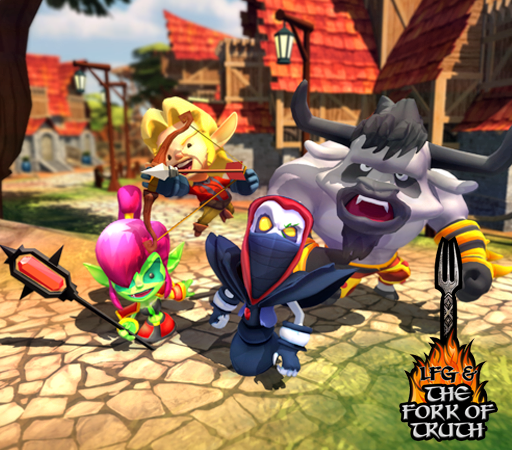 Fork of Truth was supposed to be a classic isometric hack-and-slash co-op dungeon crawler RPG built in Unity. It was intended that you play with up to four friends as the iconic main characters and explore the world of LFG. The project ultimately got put on the shelf for lack of funding. Aside from the initial pitch that won us the project, I wrote the subsequent game design document containing the features, structure and abilities, built several prototypes, did gameplay balancing, visual effects design, trailer editing and more. 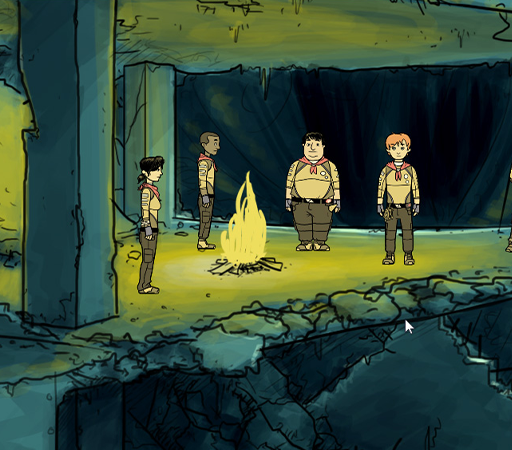 Trusted Soil is a classic adventure game set in the future, which follows teenage boyscout Thomas Wild on his search for his disappeared father and the secrets that lie behind The Black Wall that surrounds his entire homeland of Hetian. For the demo we completed as part of our graduation project I created all the graphics and animations, designed a custom dialogue system and wrote part of the narrative. 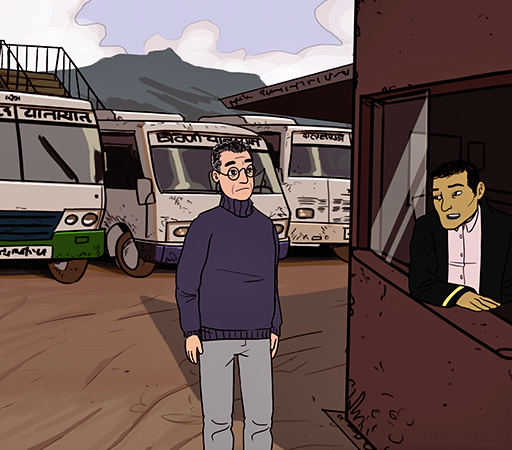 The full version is currently in development by the writer and co-creator Anne Bras. 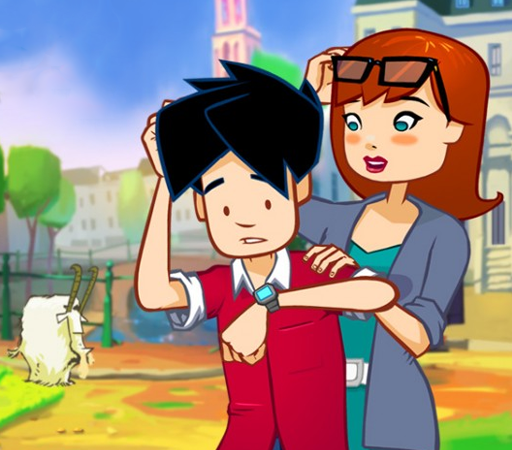 15 Minutes is a short adventure game built in one month as a loving parody to the traditions and tropes of the hit tv-show 24. MaydayMayday: Cockpit Freakout is a short game I made in a few days for the Idle Thumbs 2015 gamejam. 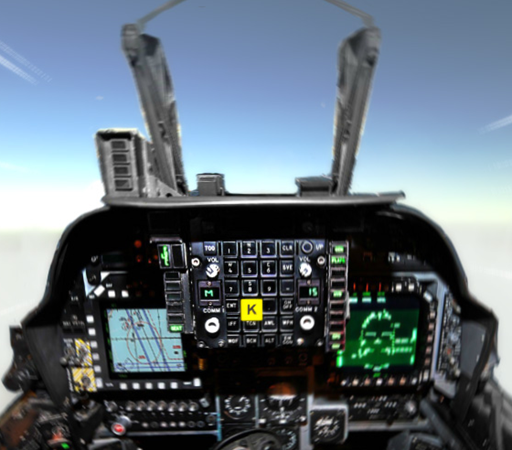 You play as a stressed-out fighter pilot trying to get his plane back under control. Letters flash on the instrument panel and you have to press the corresponding keyboard key in time. The idea came from the title of one of the Idle Thumbs podcast episodes (as did the other entries in the jam). I usually make more narrative driven games so it was a fun exercise to make a game that relies almost entirely on its mechanics. It's a little rough around the edges but I like how it turned out. 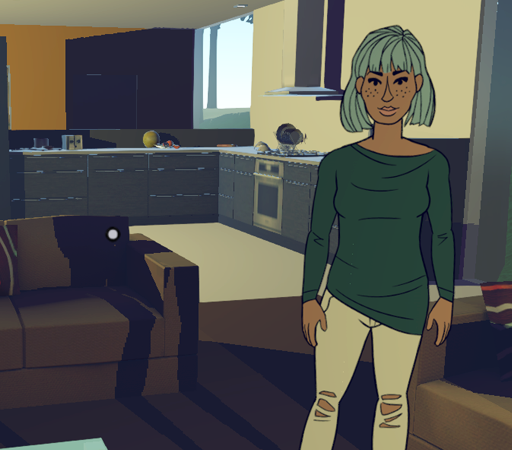 Dutch healthcare institute Ciran approached my previous employer with an ambitious plan to create a game that could support with the rehabilitation process of their patients - mostly people with symptoms of chronic pain and chronic fatigue. While not religious in nature, Laka has roots in buddhist philosophy. The game teaches players how to handle themselves and handle life - in particular, it aims to improve your skill in generosity, moral discipline, patience, energy, focus and wisdom. In every situation you make choices: How do you react to a boy spilling water on you? What will you do when someone leaves their bag on the train? These situations vary from everyday situations (like standing in a queue) to uncommon ones (like being scammed in a Chinese tea house). How you respond is up to you. 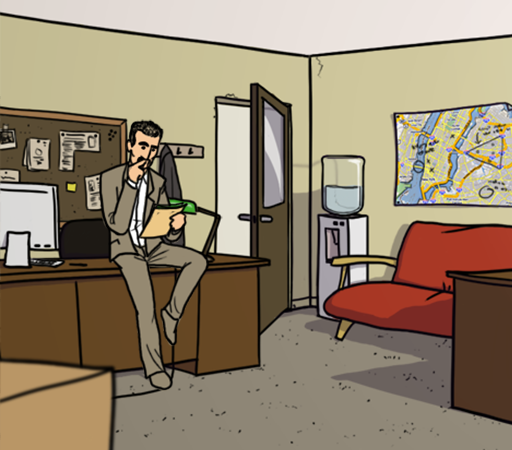 TijdTripper is a casual adventure game I worked on during my internship at Monkeybizniz. In this absurd adventure, the main character timetravels through thousands of years of Utrecht's history trying to recreate events that were instrumental for its legacy. It was developed for the historical archive Utrechts Archief to give people a new way to interact with the history of their town. I wrote the dialogue with assistance from Niels 't Hooft and worked on game- and level design. Plus I built the prototype you can download below. During our final year at the HKU we were assigned to create a game for the original Microsoft Surface, back when it was a big table. It was intended for the lobby of the Dutch Game Garden, which should simultaneously be entertaining and introduce the companies that reside in the building. With The Jelly Reef, we succeeded in both. Swiping over the table creates currents in the water which help you guide the jellyfish away from harm. And by placing a physical DGG tag on the Surface, each jelly reveals the name of a company, which you can then tap on for more info. For this project I worked mainly as an environment artist and asset pipeline curator. Game Oven made a new version of Jelly Reef for iOS/Android/Windows Mobile in 2015. See the website for more details. Our assignment was to create a game for kids ages 8-10 that is complementary to the children's books series Drakeneiland by Dutch writer Lydia Rood. 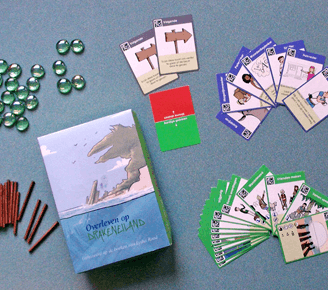 The heart of the books is the about social dynamics on this island, so we developed a roleplaying cardgame with a lot of opportunities for playful interactions and cooperation, with a digital companion built in Adobe AIR that tracks the player's progress through a webcam. I was responsible for designing the playing cards and their illustrations. We tried to stay faithful to the original book illustrations by Kees de Boer while still finding ways to introduce our own aestethics into the visual style. ConFlo is my attempt at doing something new with adventure game dialogue systems. Most of the dialogue systems we see are variations of the default list of inquiries, but in real life conversations are about much more than that. So for my graduation project I asked myself: How can we give players a system for more natural and direct control of game conversations? To figure that out I dove into the field of linguistics to discover what true conversations are made of. ConFlo is the result. 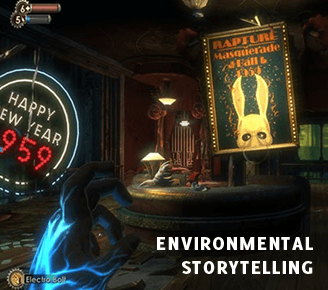 Aside from constructing responses more naturally, it also attempts to better integrate the dialogue system with the regular gameplay experience. Below you can download two prototypes to test drive the system. They do not optimally utilize every aspect of the system yet, but they should give you a pretty good idea of the idea behind it. If you want to read more about the theory behind the system, you can also download the accompanying thesis. Adam Segler is an NYPD detective, and a damn good one at that. But his faith in the system is waining. Then when one day a seemingly routine backup call uncovers a sinister plot devised by an organisation shrouded in shadows, Adam gets a chance to redeem himself - and potentially save New York in the process. The Majestic Conspiracy is a point-and-click adventure game bringing homage to the detective flicks of the 90's. With this college paper I attempted to uncover ways in which gameplay and narrative in interactive entertainment can be blended together in such a way that it does not take the player out of the experience. To find the answer I outlined some of the problems presented when trying to communicate story information to the player, some of the solutions used by modern games, the opinions of several designers, writers and directors on how best to tackle this issue, and I close out with a few case studies of games I have personally been involved in. The year is 1846. The first settlers have reached California, and the United States are at the brink of war with Mexico. These are troubled times. And in these times, people look for a hero. 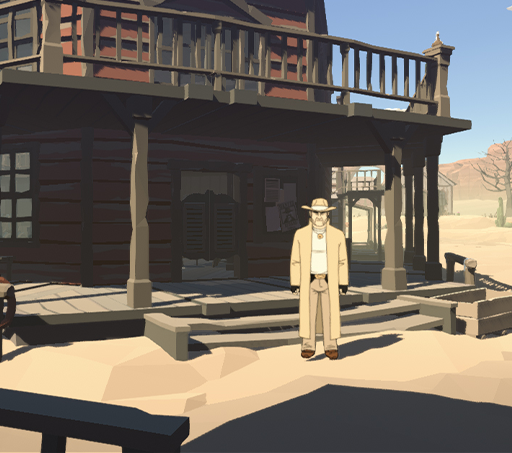 I've always been a fan of Westerns, so it's no surprise that one of the first games I made was a short exploration of that aesthetic, complete with voice acting by me.